Martin Morrow has some stats to share about the Windy City and Christian rappers. Martin Morrow is originally from Birmingham, AL where he started doing stand-up, improv, and belonged to an award winning sketch/stand-up hybrid "Tubbi and Martin." Martin has performed in clubs, colleges, and festivals all over the country including Atlanta, Austin, Cleveland, Las Vegas, Los Angeles, New Orleans, New York, Philadelphia, and Portland and has worked with some of the top names in comedy from Tim Allen to Katt Williams. 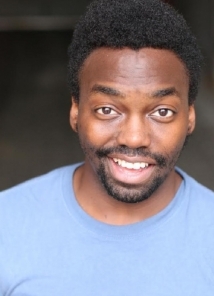 Currently residing in Chicago, IL, Martin is an understudy to the Second City Touring Company and has performed in several shows with Second City as a part of their Outreach & Diversity ensemble. He is part of the 2015 Second City/NBC Bob Curry Fellowship program, a Second City PUMA scholarship recipient, and graduate of The Conservatory. He has put on several one man shows at The Playground Theater and MPaact Theater where within his work he has become known for creating the personas Farty Marty and Mar’son. Morrow serves as a producer to one of the highest acclaimed comedy shows in the country Comedians You Should Know and formerly a 100 Proof Comedy cast member and a season 13 cast member of the longest running independent comedy showcase, The Lincoln Lodge. A regular at the Laugh Factory, he has been featured on Comedy Central's Why? with Hannibal Buress, The Huffington Post, Fox’s Laughs, Esquire TV, the 9th season of NBC’s Last Comic Standing and he was named one of the top up-and-coming comedians in the country by Splitsider. He was a finalist in the seventh season of the Impress These Apes comedy competition, and performed in the 2013 TBS Just For Laughs Comedy Festival, 2014 Epitonic Deep Festival, 2014 Tomorrow Never Knows Festival, 2014 Green Gravel Comedy Festival, 2014 Bridgetown Comedy Festival, 2014 Hell Yes Fest, the 2015 LA Riot Fest, the 2015 Breakout Comedy Festival, and the 2015 AV Club/Onion Festival.